Kosmadei. 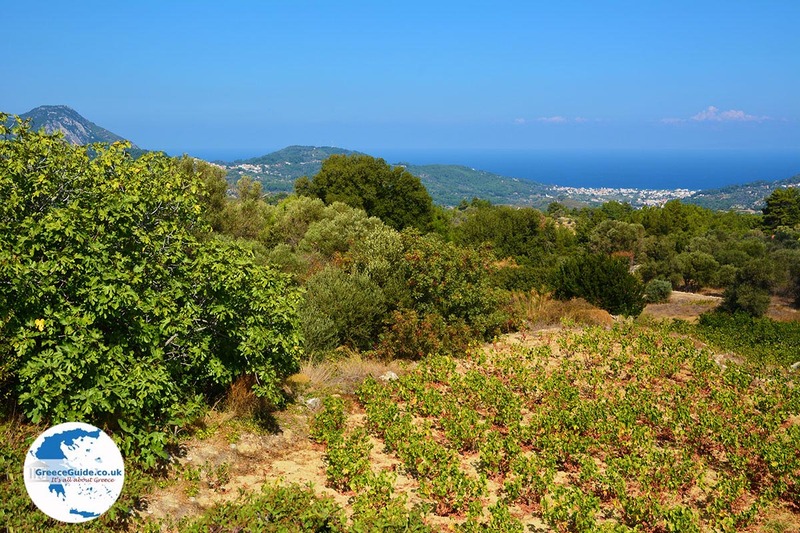 Kosmadei is the highest village on Samos with a characteristic appearance. There are about 60 to 80 inhabitants, many people from the area or even from abroad seek the peace and stay for the summer in their hometown. Kosmadei is halfway the island between Votsalakia and Karlovassi at an altitude of 700 meters in a really beautiful area. 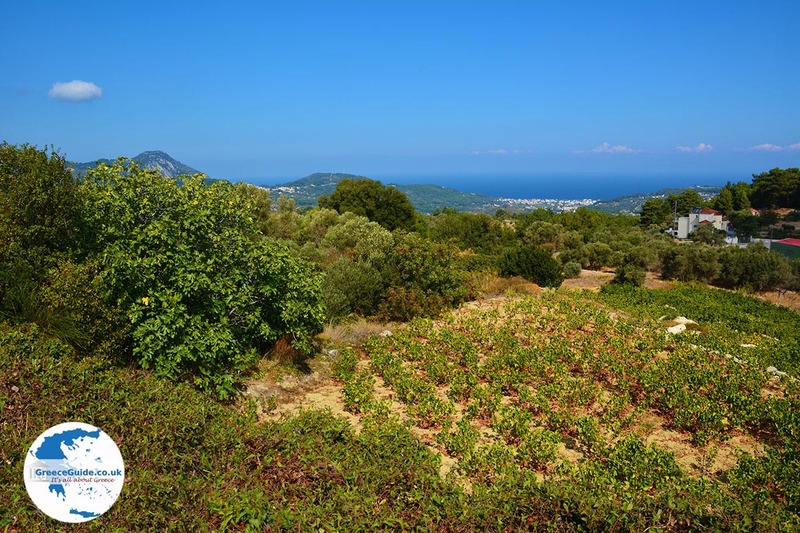 Around Kosmadei lie the vineyards from which the famous Samos wines are made. Many villagers have a grape field, one or several gardens, a donkey, chickens, goats, you name it. So the people themselves can provide fruit, vegetables potatoes, milk, cheese, eggs, meat, grapes, wine etc. We got to know Kosmadei as a small friendly village where time seems to have stood still. Due to its location and the hospitable residents it is an ideal place to stay for short or long periods. Since 2007, we have had a farmers house in Kosmadei. During the summer we spend a lot of time here, and it suits us very well. We therefore feel inhabitants of the village. Around the village you can enjoy hiking, the beautiful nature and of course make a trip by car or a walk to the monastery and climbing the mountain Kakoperato with the final destination to visit the cave and its chapel is definately worth it. After this tour it is sure worth a visit to taverna"st’antonakaki". While enjoying a snack and a drink you can have a panoramic view of the island and, with good weather, the coastline of Turkey. 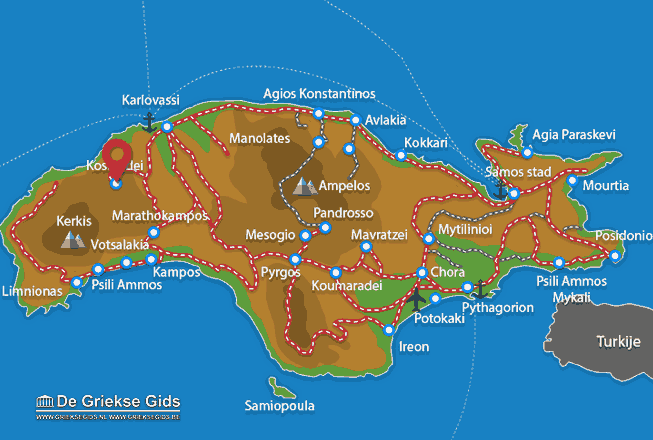 Samos: Where on the map is Kosmadei located?